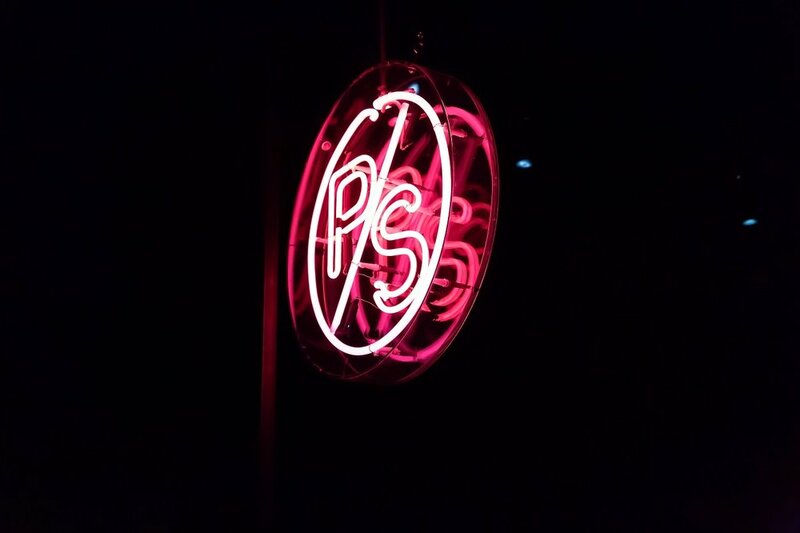 PS by Paul Smith launched in Florence during Pitti Uomo in January 2017. 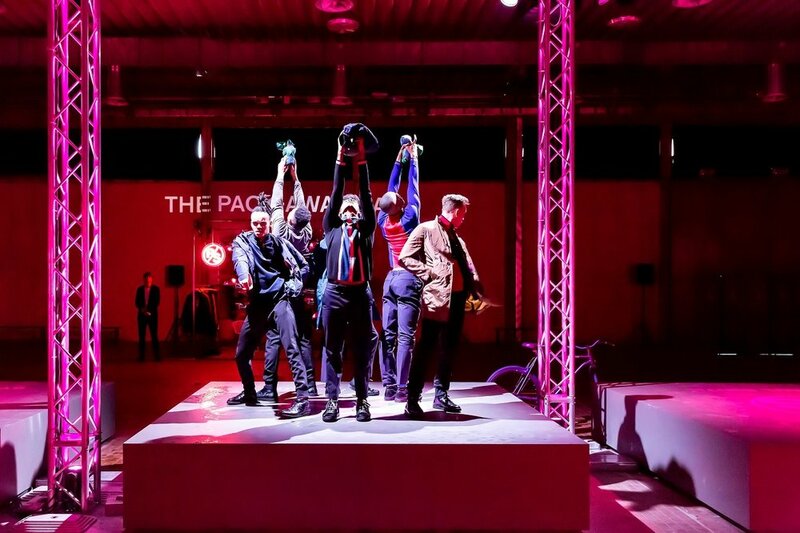 Targeting a younger audience than Paul Smith, the brief for the PS by Paul Smith was to create an engaging, high-energy launch experience. 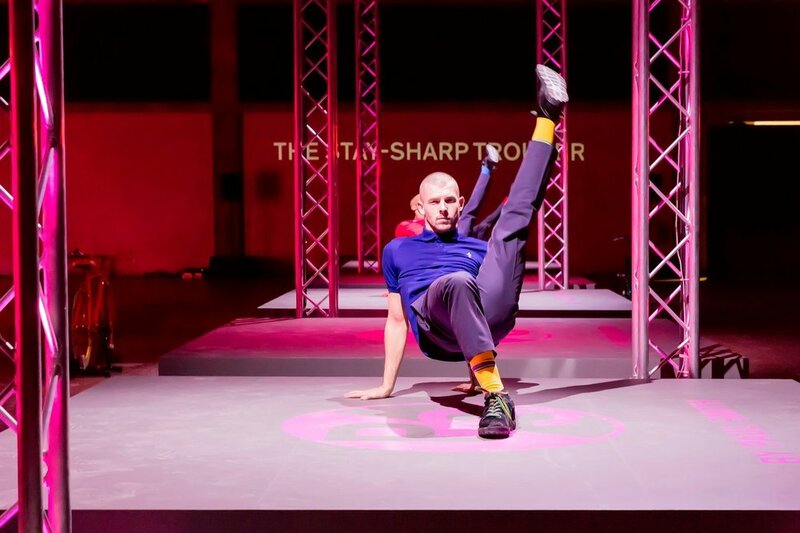 Breaking the mould of a traditional catwalk presentation, the active and highly stylized performance used scale, colour, and theatrical lighting to create spectacle. 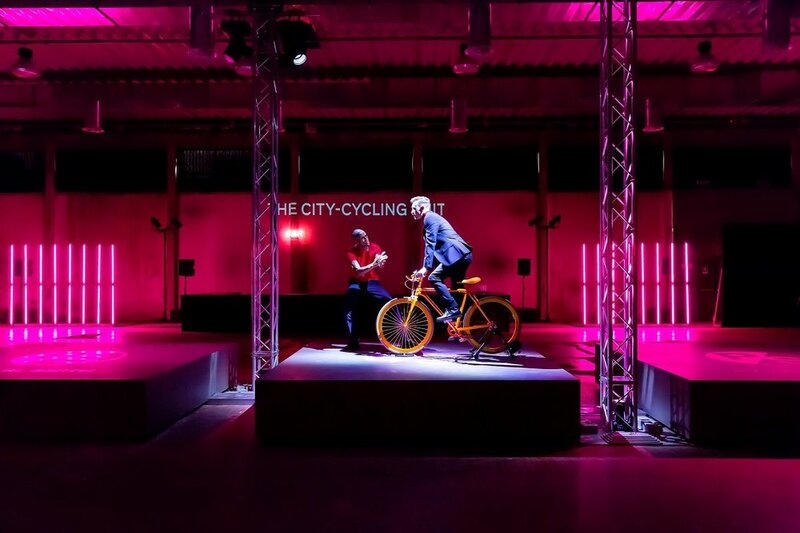 Guests watched on as models danced, cycled, and performed acrobatics on raised plinths inside the large industrial warehouse. 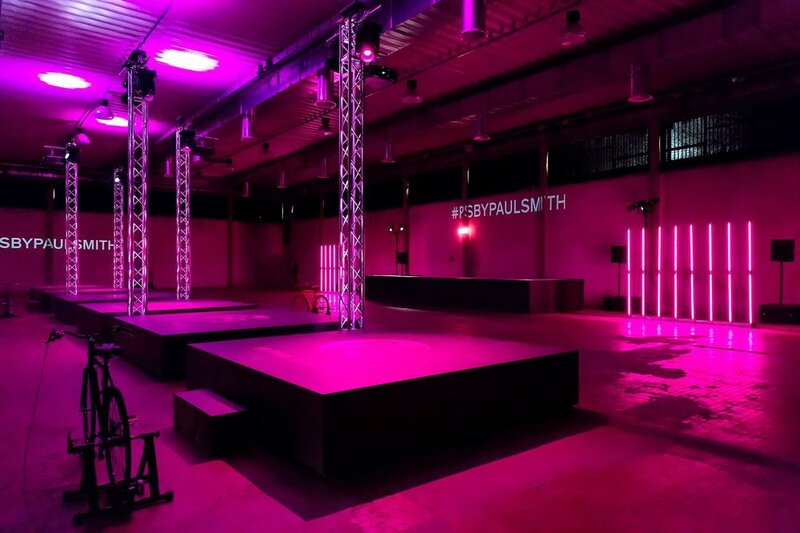 Neon lights and projected visuals added layers of visual interest to the space. 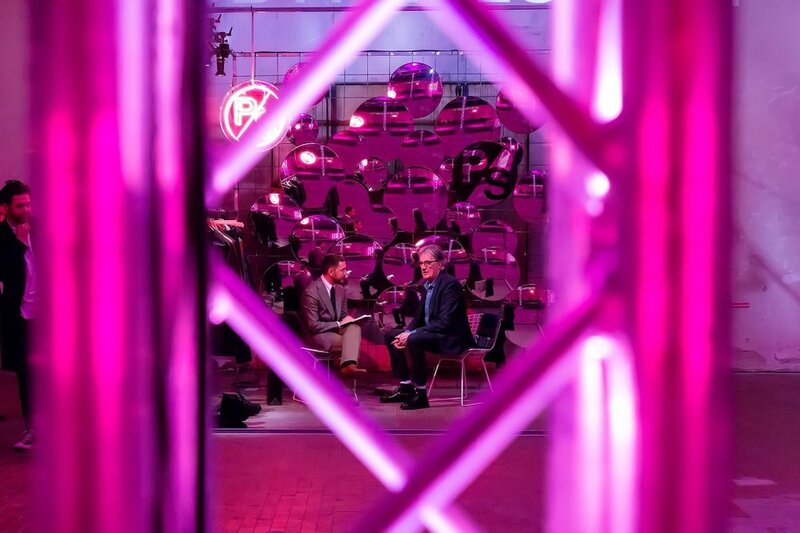 The walls of Paul’s interview room were lined with round convex mirrors, creating a playful design feature within the space, referencing the brand’s retro aesthetic sensibility. 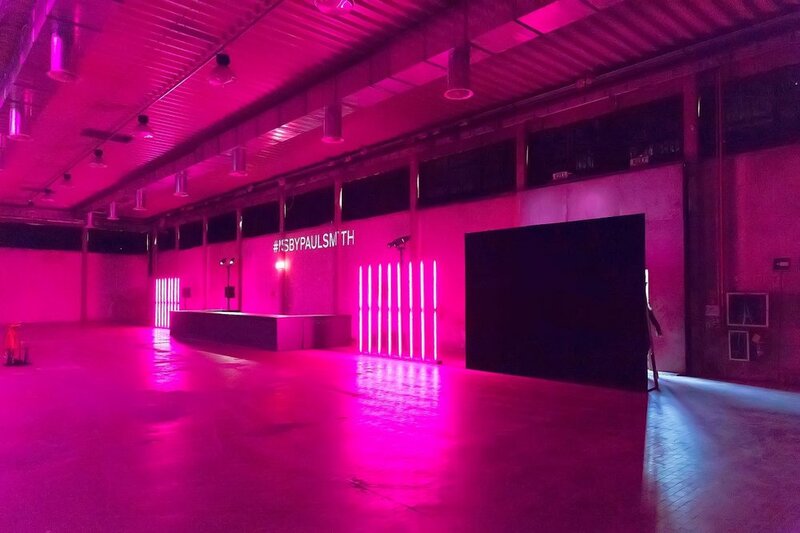 The overall design approach was to use low-tech elements to create high drama, setting this event apart from others at the trade fair.